Is Your Association Breaking This Key Rule While Trying to Engage Younger Members? 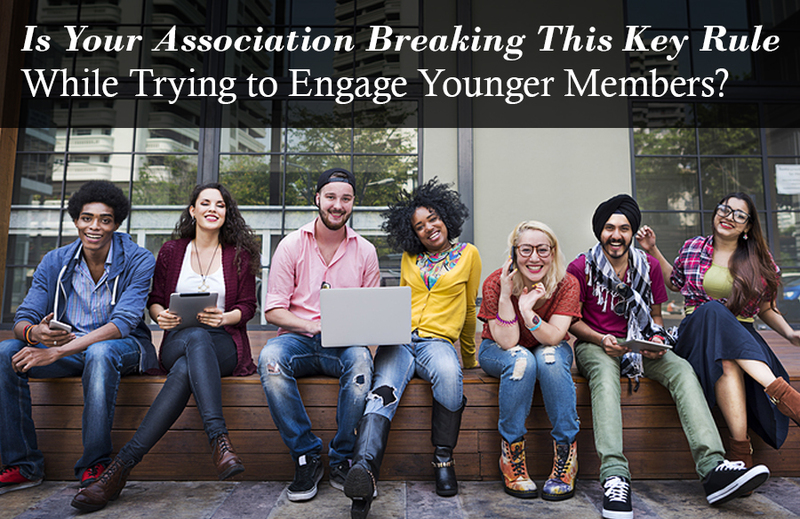 Associations that struggle to attract and engage younger members typically break one key rule. In this post, membership expert Amanda Kaiser reveals what that rule is, and how you can apply it so your organization brings in younger members. Are you worried your association is dying off? Member engagement expert Sarah Sladek gives you a formula that will predict your organization's life expectancy, and shows you how to ensure your association continues to thrive. Journalist and association member, Luigi Benetton shares his best tips on how to land great speakers for any type of event. A new article in our Hub offers tips and strategies for effective committee development and management. Association Cycles: Changing of the Guard or Rinse and Repeat? As your association gears up for a new cycle, will you go through a complete changing of the volunteer guard or do you simply repeat the process over again? Here are some thoughts about staying on course as you enter a new volunteer cycle. What data management challenges are plaguing associations? Here's an overview of EDM's yearly survey of associations and our take on the results. Last week I heard about a potential occupational hazard that can afflict non-profit fundraisers: Vicarious Trauma. It reminded me of how important it is to maintain balance between helping others and taking care of ourselves. Is your role at a small non-profit a “superjob” - where you do more than one job's worth of work? Here are a couple of tips on time management that might help you juggle your multiple priorities. Should You Offer a Member's Forum? Should your organization offer a member's forum? It can provide a place for your members to virtually congregate, collaborate, discuss and share ideas and can offer your organization insight into your members' interests and needs.